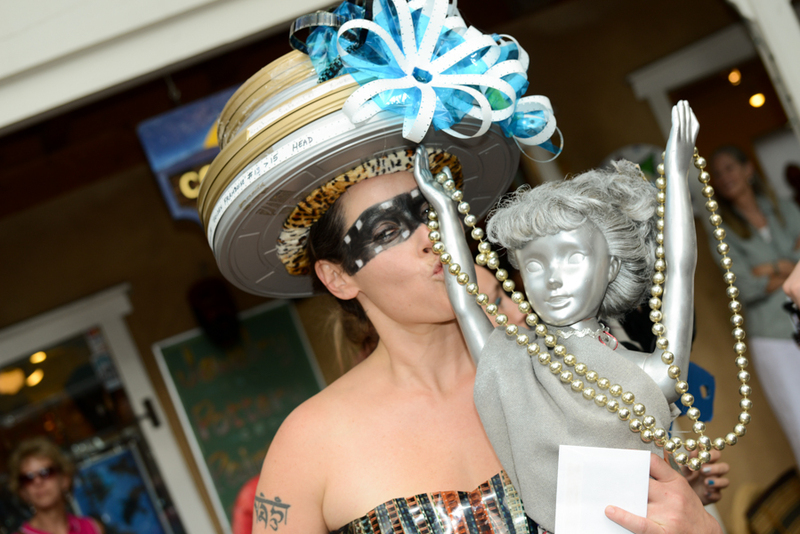 The annual Art For The Heart, Glam Trash Fashion Show was held on August 22nd at the John Dunn Shops, and drew crowds and applause for the creative and stunning designs made from, well, trash. 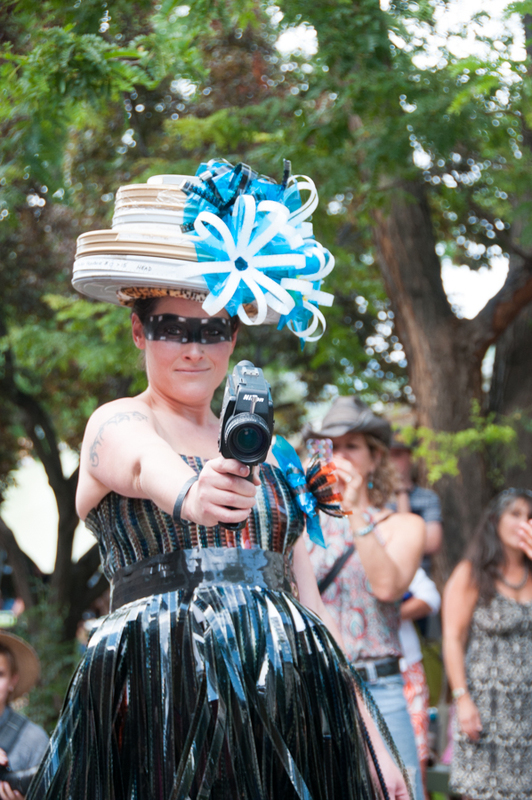 In 2001, Art for the Heart put on the first Glam Trash Fashion Show at the historic Martinez Hacienda in Taos. 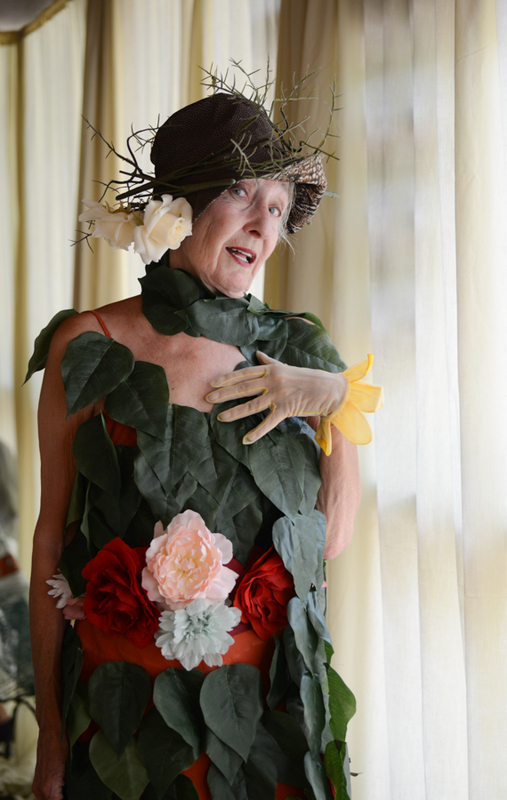 An immediate success, it has become a popular event here in Taos. 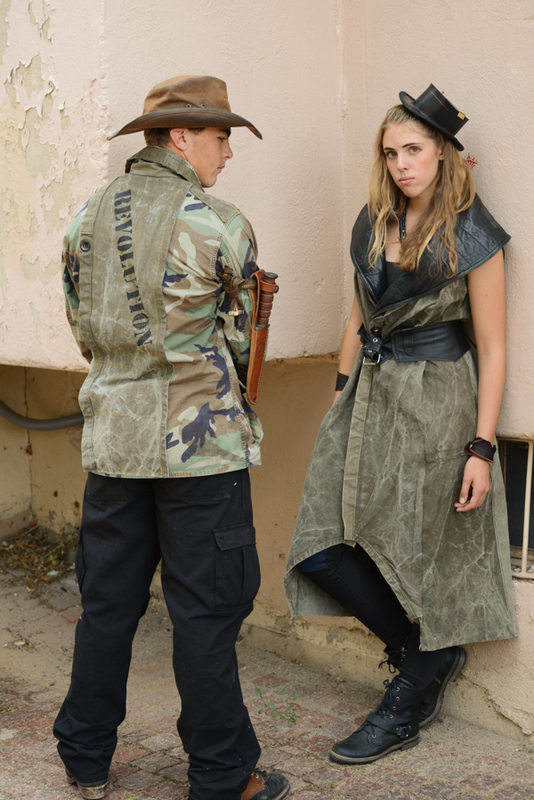 Every year, participants create outfits from throwaway items, celebrating creativity while keeping issues such as waste and consumption in the forefront. It’s a fabulous, end of summer, community event and I thought it the perfect post for Labour Day, when millions of Americans spend the day rushing around (or online) shopping for more stuff. 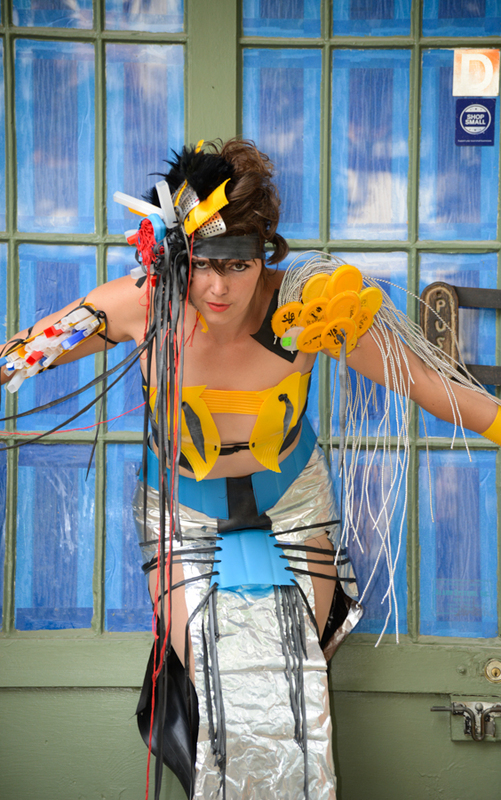 This year’s winner (film maker and editor Kiki Shakti), made her outfit from old film and canisters. That’s Kiki kissing the silver award. Heather Sparrow, Glam Trash’s official photog was on the scene and kindly shared these pics with taoStyle. For more info on Glam Trash, please visit their site below. September 7, 2015 in Art.